Heads up! There’s a community meeting at Sondreson Hall on Tuesday, August 28, at 6:00pm, to discuss area fire control efforts. Fire personal will provide an update on current fire conditions and then spotlight the containment features they have added for the future. As before, BYOR (bring your own refreshments) — plus a little extra. If it goes like the last time, the firefighters will ensure there are no leftovers. Trail Creek/Graves Creek Road (#114) is open again, but the trail closures in the upper Trail Creek and Whale Creek drainages are still in place. Canyon Creek Road (#316) has also been reopened. Here’s the full official press release . . .
Forest System Road #114 Trail Creek /Graves Creek is now open. It was closed for public safety due to fire activity from the Gibraltar Ridge and Weasel Fires. The road closure began at Tuchuck Campground and extended through the Kootenai National Forest to Graves Creek (Milepost 8.8 – 14.8). The area closures in upper Trail Creek (including Tuchuck Mountain), and Upper Whale Creek will remain in place until further assessments can be made. The Area Closure remains in place due to active fire still present in these areas and fire directly impacting system trails. Use caution when driving through open roads in the area; crews and equipment may be working, you may encounter activity on the road system. Additionally, permanent repairs have been accomplished on Canyon Creek Road #316, located approximately 5 miles north of Columbia Falls on the Glacier View Ranger District. Effective immediately, the road is now open from the intersection of Road #316 and 316D (9 mile); west 7 miles to the intersection with Forest Road #316C (South Fork of Canyon Creek). The Kimmerly Road (FS Rd 316B) remains closed to motorized use from its junction of the 316 Road and beyond, due ongoing repair work. The Kimmerly Road is expected to be open for snowmobiles and grooming operations this coming winter. While recreating on the Flathead National Forest, users are advised to use caution when traveling on Forest roads; encountering heavy truck or other vehicle traffic is common. Please do not to block gates on Forest roads, and report any road damage, or road issues of concern to your local forest service office. Hungry Horse/Glacier View at (406) 387-3800, Tally Lake at (406) 758-5204, Swan Lake at (406) 837-7500, or Spotted Bear at (406) 758-5376 or (406) 387-3800. This just in from the Flathead National Forest . . .
Kalispell, MT. September 10, 2017- The Gibralter Ridge Fire and the Weasel fire are burning in the Kootenai National Forest approximately 7 miles east of Eureka. The east side of the Gibraltar fire has moved into the mouth of the Blue Sky drainage in the Whitefish Range. The Weasel fire has moved near the Flathead and Kootenai forest boundary. 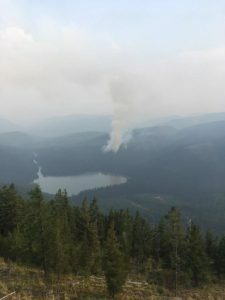 To protect health and public safety by keeping the public out of the active fire area, the Kootenai National Forest has closed a large area from the Whitefish divide to the west boundary of the Fortine District, and from the Canadian Border to Deep Creek. 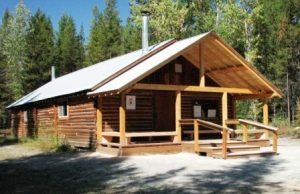 The Flathead National Forest has closed an area north of Link lake trailhead north to the Canada border and east of the Kootenai border. A portion of NFS Road #114 (Trail Creek Road) from the Flathead National Forest boundary to the junction with Stoken Bridge/Foothills Road. 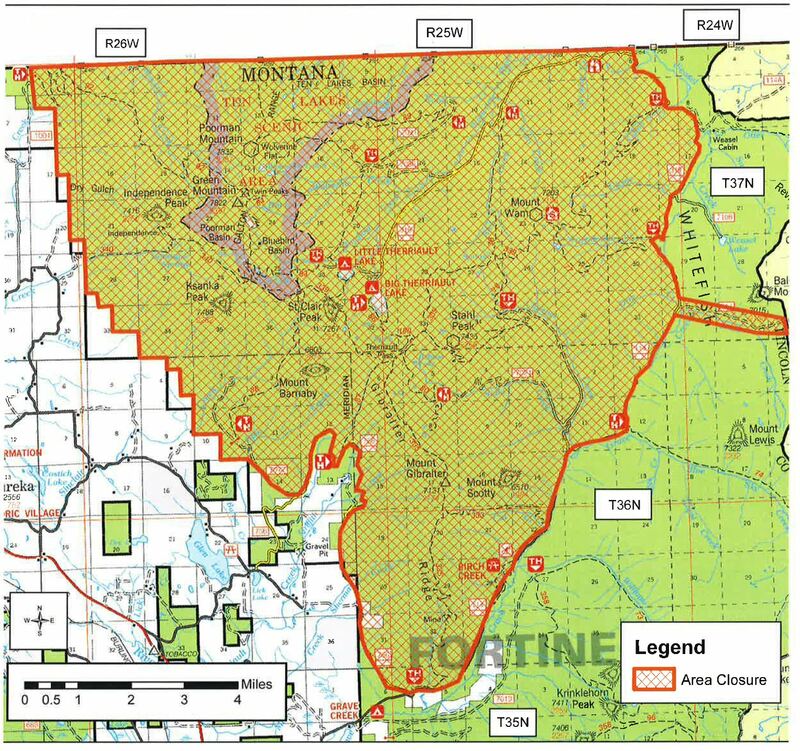 To support these efforts the Flathead National Forest has installed a gate on NFS Road #114 (Trail Creek) and has closed NFS Road #114 from mile point 8.8 to 14.8, the boundary with the Kootenai National Forest. Trails 19, 23, 114, 113, 22, 13, 28, 79, 11, 13, 106 and 26 from the Link lake TH to the north. Forest fire fighting resources are supporting the fires listed above and are prepared with initial attack resources as needed. For more information contact the Hungry Horse/Glacier View District at 406-387-3800. Here’s the latest from the U.S. Forest Service on the Cyclone Lake Fire as of August `19, 2017 at 3:00pm. Note, by the way, that Forest Road 909 is now open from the intersection with Hay Creek Road (Rd 376) to the Cyclone Lookout trailhead. 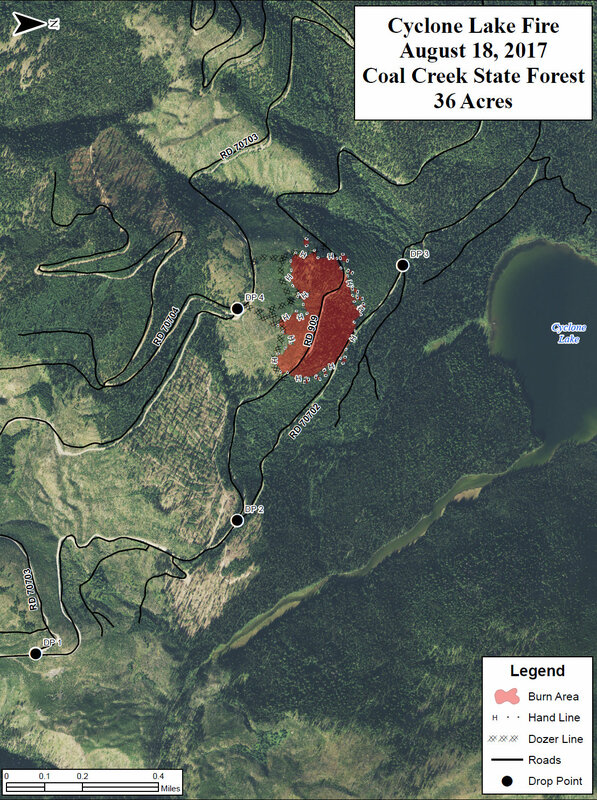 Also, the Forest Service sent us a map of the fire. Location: 23 miles north of Columbia Falls, MT, in the Coal Creek State Forest. Ownership: Montana Department of Natural Resources, Stillwater State Forest; Jurisdiction: Flathead National Forest; Other cooperators: Border Patrol, Flathead County. FIRE SUMMARY: The Cyclone Lake Fire is burning in the Coal Creek State Forest in the North Fork area; the Flathead National Forest is responsible for wildfire response in that area. 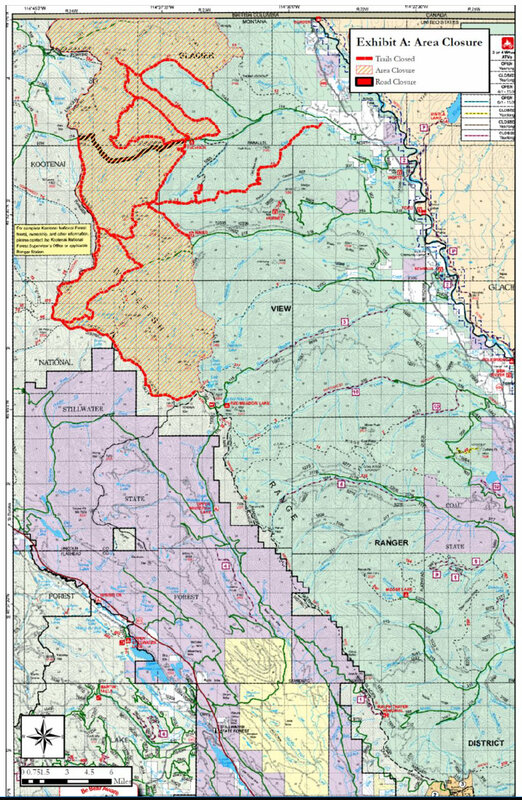 This fire is being managed with full suppression tactics, with firefighter and public safety as a priority, in cooperation with Montana DNRC managers. 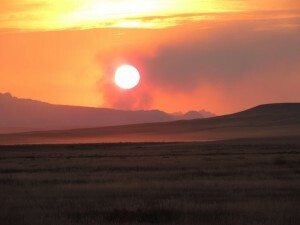 The fire is burning in heavy timber, and in pockets of previously burned areas in 2000 and 2001, with dead and down fuels. There are no evacuation warnings in place nor any structures threatened. August 12, when the fire was first detected by Cyclone Lookout, initial attack resources responded to the fire, including 4 engines, 1 dozer, 3 helicopters performing water drops, and retardant drops from air tankers. 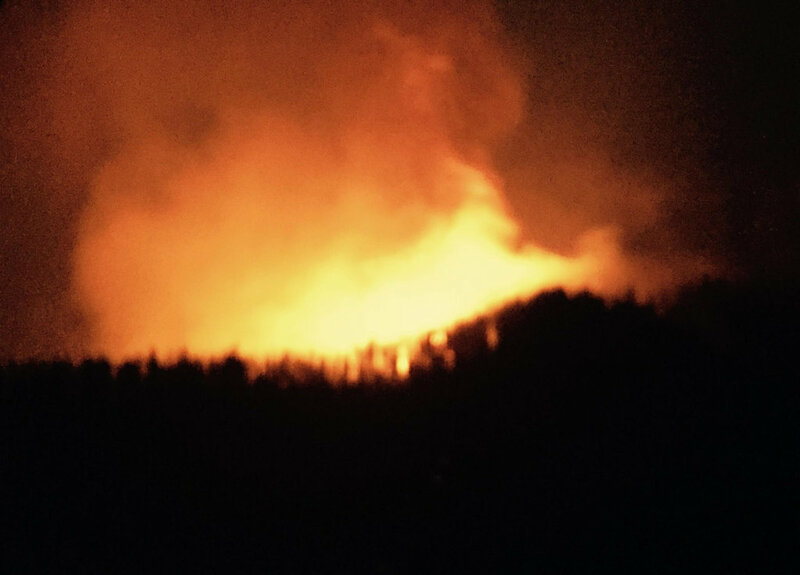 Extreme fire behavior was observed, including running, torching, and spotting. The Border Patrol assisted by securing Forest Road #909. 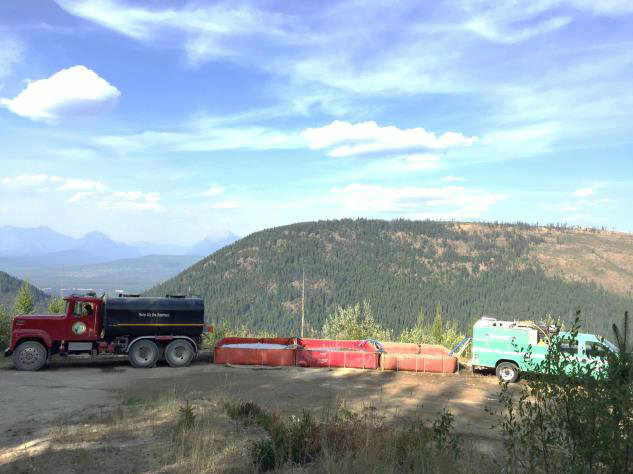 Over this past week, firefighters have worked to construct fire line around the entire perimeter of the fire, as well as construct a water hose system with pumps. Mop up has continued, with only a few smokes found in the interior today. Firefighters will continue mopping up and searching for any smokes or hot spots. The public is asked to not travel on Forest Road #909 from the junction with Forest Road #317 to the Cyclone Lookout Trailhead junction, as fire traffic is concentrated in that area. 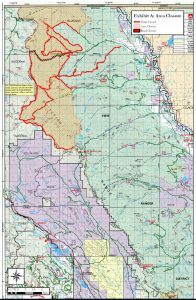 The forest will share updated fire information if significant fire activity occurs. The tone is a little overwrought, but this article has some good points about the risks of large crowds gathering along the solar eclipse path during peak wildfire season . . . The Flathead National Forest just released the following information report on the Cyclone Lake Fire. To view the original document (PDF format) click here. . . .
Other cooperators: Border Patrol, Flathead County. FIRE SUMMARY: The Cyclone Lake Fire is burning in the Coal Creek State Forest in the North Fork area; the Flathead National Forest is responsible for wildfire response in that area. 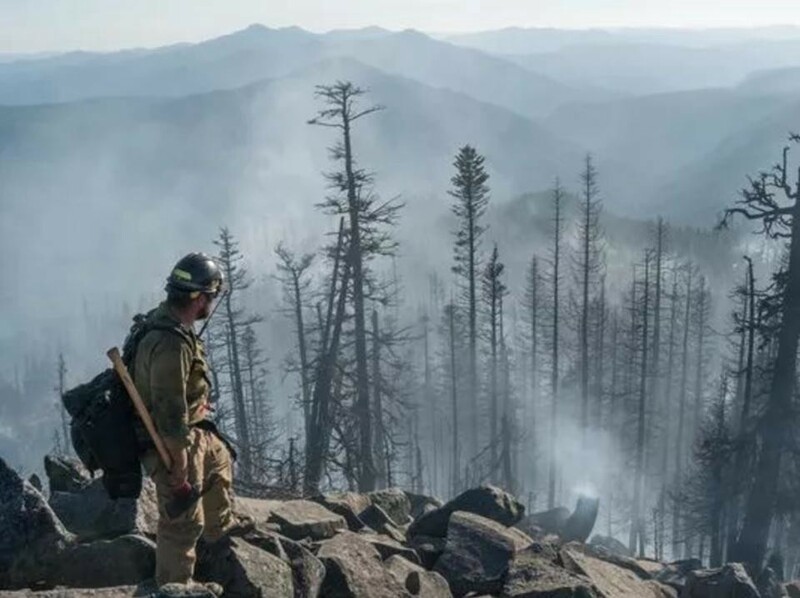 This fire is being managed with full suppression tactics, with fire fighter and public safety as a priority, in cooperation with Montana DNRC managers. The fire is burning in heavy timber, and in pockets of previously burned areas in 2000 and 2001, with dead and down fuels. There are no evacuation warnings in place. August 12, when the fire was first detected by Cyclone Lookout, initial attack resources responded to the fire, including 4 engines, 1 dozer, 3 helicopters performing water drops, and retardant drops from air tankers. Extreme fire behavior was observed, including running, torching, and spotting. The Border Patrol assisted by securing the Forest Road #909. Yesterday, August 13, dozer line was constructed around the fire where possible, and hand crews began building fire line to connect between the dozer lines. Water hoses with pumps were set up and used to cool the edges of the fire and mop up. A helicopter was also used to perform water drops. Fire behavior moderated with the cooler weather, with intermittent torching, creeping, and smoldering. 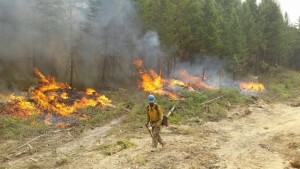 Today, plans are to continue constructing fire line with hand crews and do mop up work. The public is asked to not travel on Forest Road #909 from the junction with Forest Road #317 to the Cyclone Lookout Trailhead junction, as fire traffic is concentrated in that area. As is usual this time of year, our “Wildfire Information” page has gotten a few updates. A closure order was issued this afternoon in the Kootenai National Forest as a result of the Gibraltar Ridge Fire in the Eureka area. This closure affects travel from the North Fork over Trail Creek into the Kootenai. The Forest Service is posting signs at the North Fork Road/Trail Creek Road junction, and at the Tuchuck Trailhead. This also affects the Pacific Northwest Trail (PNT). Notifications are going up at strategic trailheads for the PNT in both the Kootenai and Flathead Forests.